Excellent turnkey farm! Permit for 22,000 sf, 10,000 mixed light/12,000 outdoor cannabis cultivation. Very easy access, only 45 minutes to Arcata/Eureka. Five greenhouses, four 20x96, one 35x96. 230 200 gallon smart pots. 900,000 gallon pond. Well produces 10gpm with 4500 storage tank and three 3000 gallon tanks. Large flat for expansion of existing operation. 20 foot yurt with covered porch and outdoor kitchen. Outbuildings for storage and drying. One bedroom cabin. Two 125kw, one 45kw, and one 25kw genreators with 1000 gallons of fuel storage. 2 1000 gallon propane tanks. OWC with large down. Rural, Dirt Road, Private Roads, Sloped, Wooded. 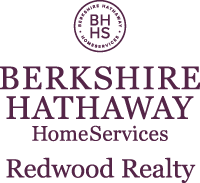 I am interested in 9000 Ashfield Buttes Road, Kneeland, CA 95549. Sign up for Inside AccessTM to view recent sales near 9000 Ashfield Buttes Road.